More of this next year! 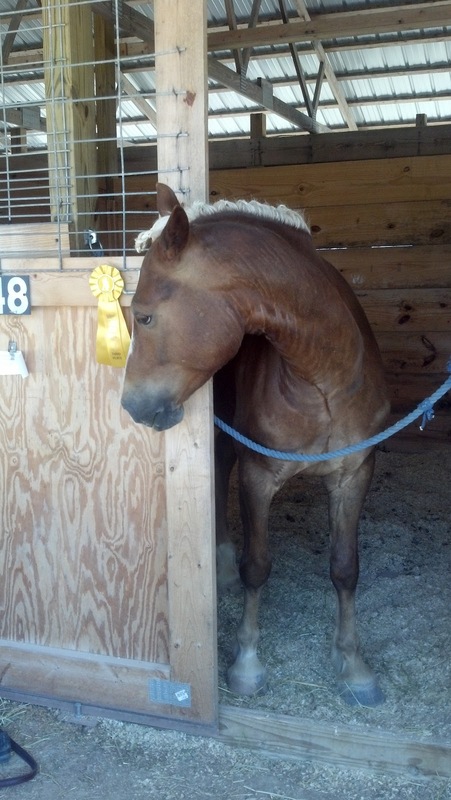 After my lesson a few weeks ago, my trainer and I discussed the 2013 show season. 2012 got de-railed by my husband losing his engineering job and being unemployed from just before the season started, through the middle of it. It was such a blessing in disguise, as my husband now has a job he's much happier in, and while Connor is well-behaved and experienced at shows, I don't think either one of us were ready for an event yet. I had all those grand plans when I first saw the omnibus in January, but finances, some canceled events, and my own inexperience with bringing up a young horse got in the way. 2013, though..."Do you think we'll be able to show BN this season?" "I think by the second half, probably," my trainer responded. "Good," I said, "I definitely need to start at Starter, both for me and for him, but I'd love to show one recognized BN next year." "Yeah, we'll make sure his first one is at the Hoosier Horse Park [pretty much home base for our barn] and then get him to some different facilities. I'm planning on you doing a lot with him next year." 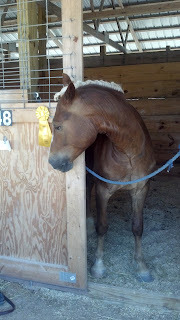 My barn is very active through the season, so I should have my pick of where to point him next year. I can't wait to share the schedule! This is my first visit and I have to say, he is so cuuuuuuute! I would suggest getting to Come Again Farms for their March or April shows. Their Derby style course is perfect to do XC without doing the full thing. You get out on an XC course in a competitive but friendly environment and you can work through any problems. Then try to hit Penny In The Park or Leg Up at Starter.